An International Conference was organised by IQAC and the Research cell of College on 23rd of January 2018 on the topic “Impact on Education in a VUCA world”. Towards the end of the conference Best Paper Awards were given. 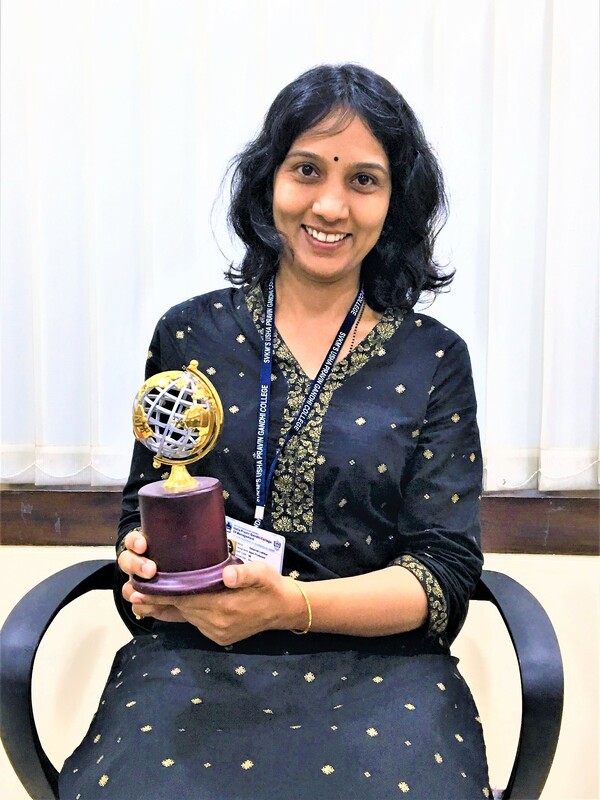 The winning prize went to prof. Swapnali Lotlikar. 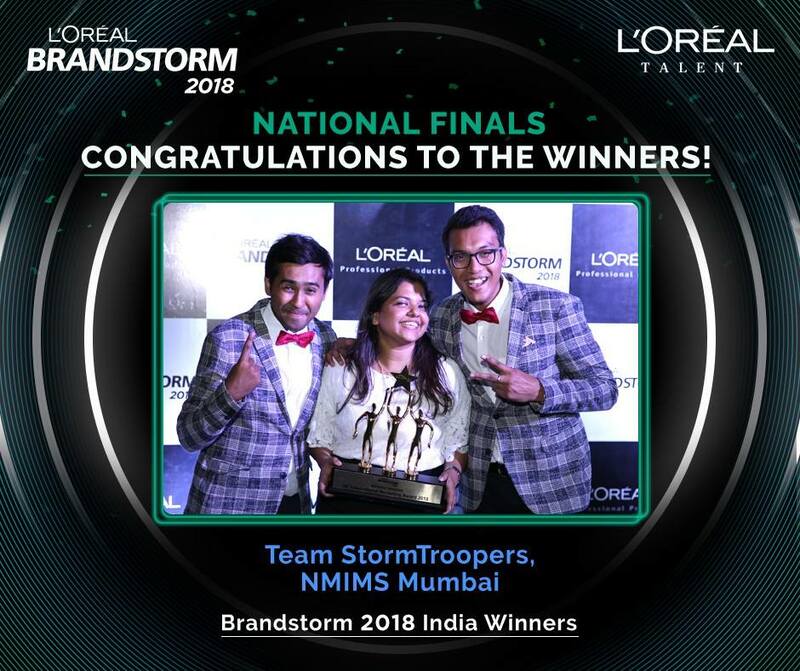 NMIMS School of Business Management won Loréal BRANDSTORM 2018, under the Tech Category. Team Stormtroopers from NMIMS, Mumbai represented India at BRANDSTORM 2018 held in Paris as the National Winners and out of the 50 teams,Team Stormtroopers won. The team comprised of Kushal Gupta, Anirudh Mittal, Visakha Agarwal and Dr. Sreeram Sivaramakrishnan mentored the team. The team was awarded the coveted Loréal PPI and a prize amount of 10,000 Euros. Many congratulations from both, SVKM and NMIMS to Team Stormtroopers, for making India proud! Egyptian Leadership For Peace (ELFP )was an event which was organised by Eg-Youth organisation and Ministry of Youth and Sports of Egypt in which Future leaders all over the world were called to discuss their B-Plans on Social Entrepreneurship and Youth Empowerment. 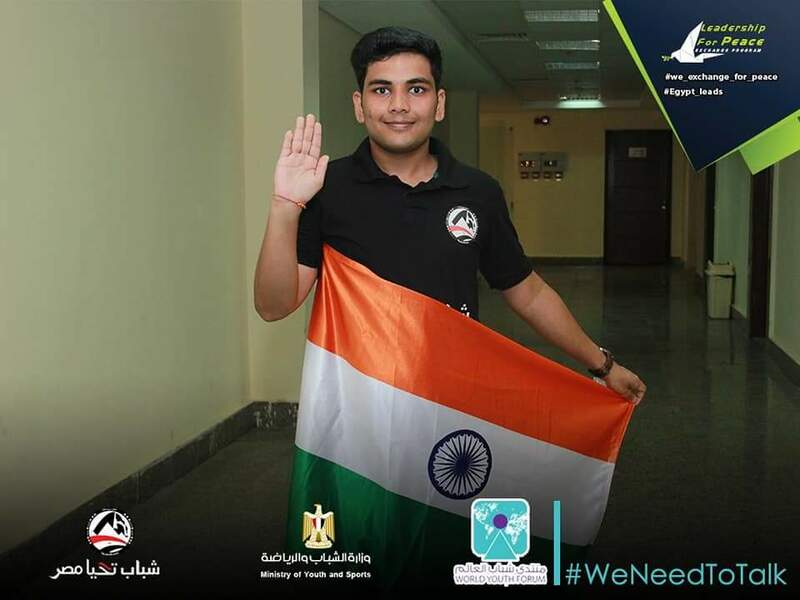 Hrythm Gupta of ASMSoC was selected as one of the Ambassadors of Ministry of Youth and Sports of Egypt. United Nations Environment (UNEP) selects one country to host Environment day at International level. This year India hosted the World Environment day at international Level. It was during this ceremony that Dr Priya Shah was felicitated for her contribution to the Marine Debris Problem. SVKM duly congratulates her for being felicitated by the UNO! CMO Awards for Excellence in Education are given as an acknowledgement of achievement acquired by the entrepreneur/business or leadership. Dr P N Mukherjee was awarded the best director award at the Le Meridien Sentosa in Singapore on 1st August,2018. 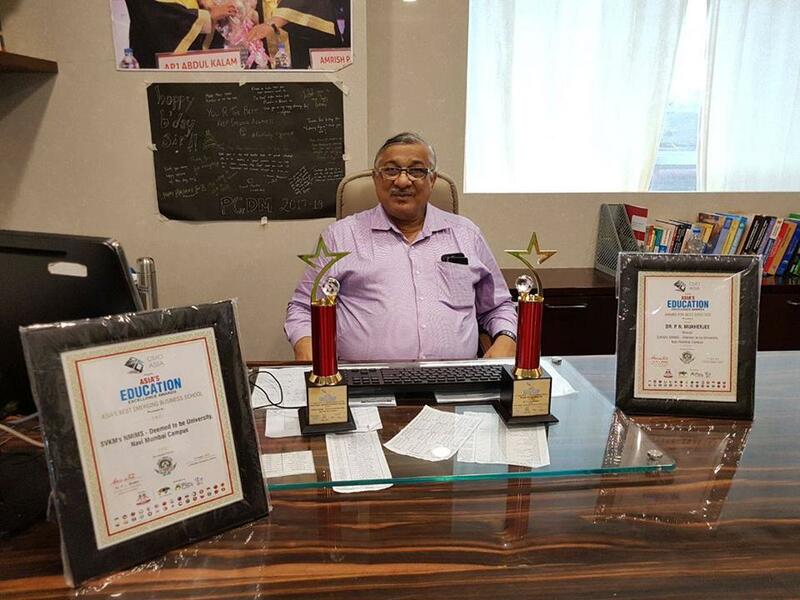 SVKM is proud of the founding director of NMIMS Navi Mumbai and congratulates him on this wonderful achievement. 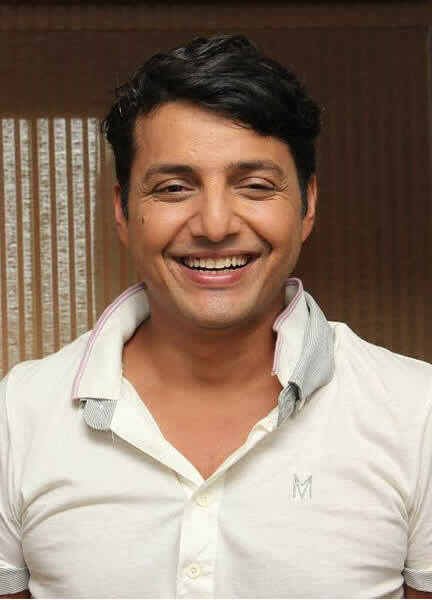 Advocate Afroz Shah, Alumni and professor at Jitendra Chauhan College of law was conferred upon the title ‘Champion of the Earth 'and ‘Indian of the year’ by the UNO at the United Nations Environment Program (UNEP) hosted in India this year. The event was celebrated on 27th May, 2018 at Versova Beach. SVKM congratulates Advocate Afroz Shah and wishes him good luck for the future. The World Robot Olympiad is a global robotics competion for young people. 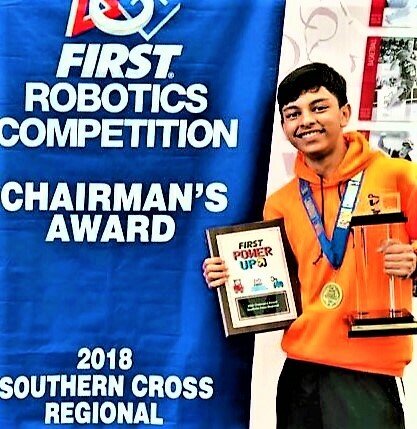 Ishaan Kamath of Class VI-E from CNMS secured the first position at the World Robotics Olympiad which was held at New Delhi. It is a great achievement and has made everyone proud. SVKM congratulates him and wishes him a bright future ahead. 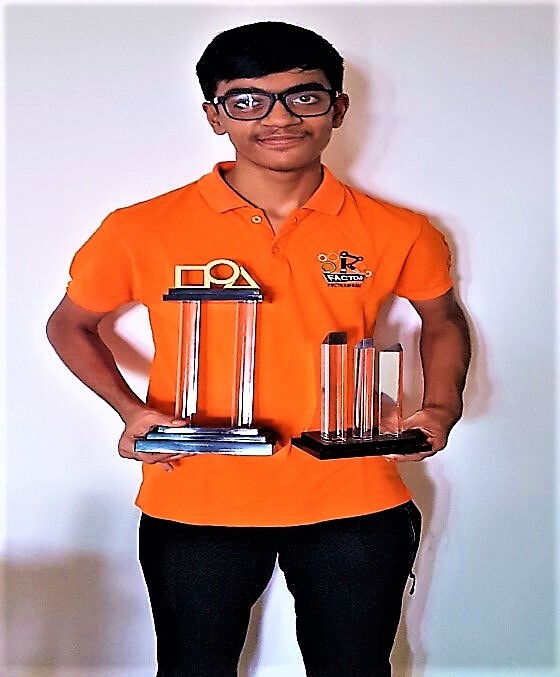 Aarav Parekh & Vansh Diora Win Prizes at the RFACTOR 6024 in Sydney and USA! Both Aarav Parikh and Vansh Diora grade 9 students of JV Parekh International School participated in RFACTOR 6024 held at In Sydney and USA as a team. 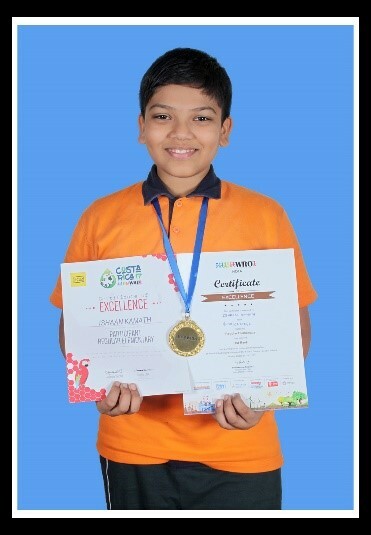 Aarav bagged the Most Prestigious "Chairman's Award" as the team went on to win countless trophies for the school. The team also represented JV Parekh International School at the international level competition to beheld in the USA. 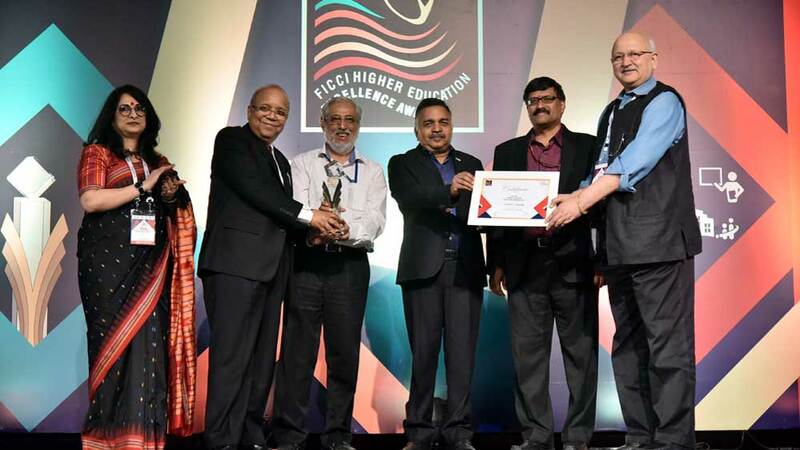 R Subrahmanyam, Secretary-Higher Education, MHRD, Government of India, has given away the 5th FICCI Higher Education Excellence Awards to 13 Educational Institutions and eminent personalities in the field of education. The award recognises the achievements of educational institutions and personalities that have contributed towards the development of the sector in the country. NMIMS was one of the 13 institutions to win the Award for Excellence in Higher Education. NMIMS launches School of Performing Arts in 2018! Thus, NMIMS’ full time, three years degree programme has clearly stated that being a musician is no longer an alternative option. It is mainstream. 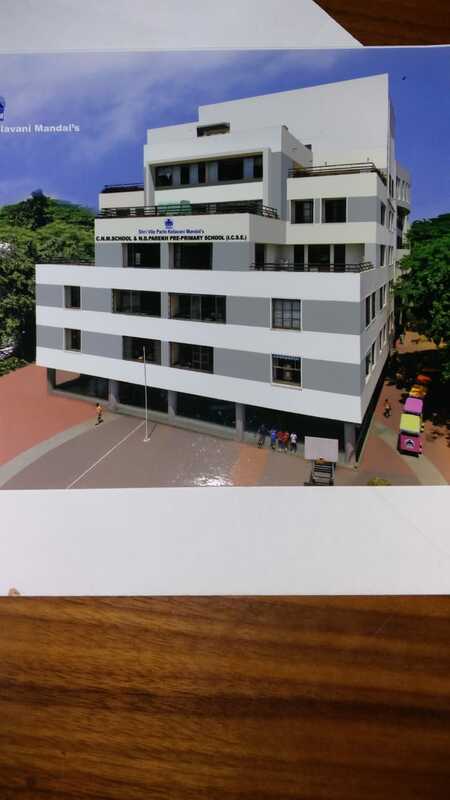 The all new campus for School of Performing Arts is getting ready at CNM School Campus, Dadabhai Road, Vile Parle West. It will be a state-of-art facility with studios of Guitar, Piano, Drums , Vocals and Audio Production Labs. The admission procedure shall come to an end on the 12th of September and soon, academic classes shall began. 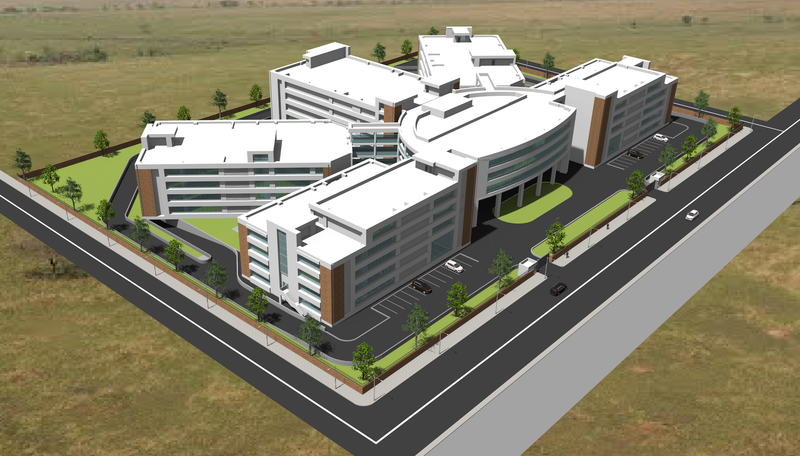 Construction Begins at NMIMS Chandigarh Campus! Work has begun at plot no 5, Sarangpur Institutional Area, Chandigarh. The plan is to build a full-fledged NMIMS campus in Chandigarh just like there is in Mumbai, Indore, Hyderabad, Bengaluru, Navi Mumbai and Shirpur. The institute is to be spread over 6 acres of land. Courses in the field of entrepreneurship, healthcare, management, family-integrated business etc. have been planned. Heavy enrolment is to be expected as NMIMS shall be one of the most prominent institutes in North India after its launch. SVKM eagerly looks forward to this project as it will be the Mandal's first foothold in North India. SVKM School started at a pre-primary level in 2016. Today, in 2018, SVKM School, Dhule has expanded to 7th Standard and should ideally be having its first batch of 10th Std ready in no time! SVKM’s IIS in collaboration with Canberra University, Australia will be providing Bachelor of Accounting and Master of Business Administration and Bachelor in Graphic Design and Masters in Design Strategies. 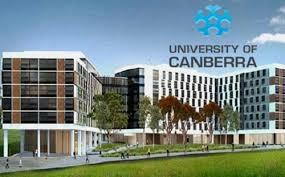 Those who enrol, will be studying the first 2 years in Mumbai and then, complete the next 2.5 years at University of Canberra, Australia. After course completion, a student can spend 2 more years in Australia on a Work Visa. The first batch is already on board and SVKM looks forward to its success. The 82nd Annual General Meeting was held on the 6th of May, this year. The presidential elections and the counting of votes also took place on the same day. A president, 30 members of the managing committee and 6 trustees were elected for a term of 5 years (2019 – 2023). Hon. 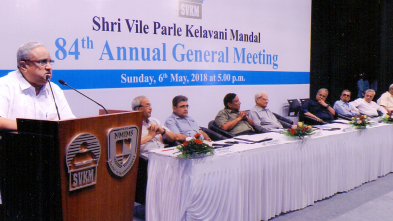 President Shri Amrishbhai Patel, spoke about the work done by SVKM for the society over the years. He spoke of the goals accomplished in the year 2017-18 and those set for 2018-19. He said that the focus has always been on education for employability. Since the courses offered are at par with global standards, there is 100% placement every year and the average annual package is about 5 to 6 lakhs or more depending on the course. He also spoke about renovation and new infrastructure for CNMS, SBMP, Mithibai College and NM College which has been planned in the future. The AACSB Accreditation Standards challenge post-secondary educators to pursue excellence and continuous improvement throughout their business programs. AACSB Accreditation is known, worldwide, as the longest standing, most recognized form of specialized/professional accreditation, an institution and its business programs can earn. The School of Business Management (SBM) at NMIMS Deemed-to-be University, Mumbai has earned the AACSB Accreditation given by AACSB International (The Association to Advance Collegiate Schools of Business), the world’s premier accreditation agency for business education globally. NMIMS SPP SPTM Ranks 9th as per NIRF! 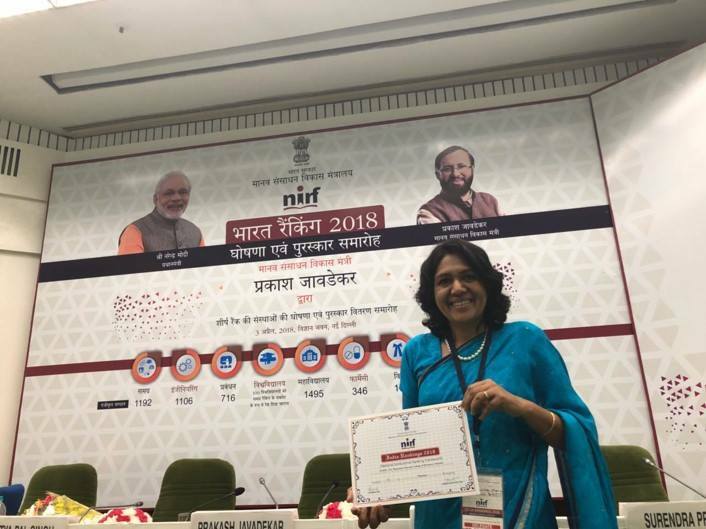 SVKM’s NMIMS Shobhaben Pratapbhai Patel School of Pharmacy & Technology Management, Mumbai was ranked 9th in the country amongst all Pharmacy Schools as per National Institutional Ranking Framework (NIRF) 2018 and Ministry of Human Resource Development. 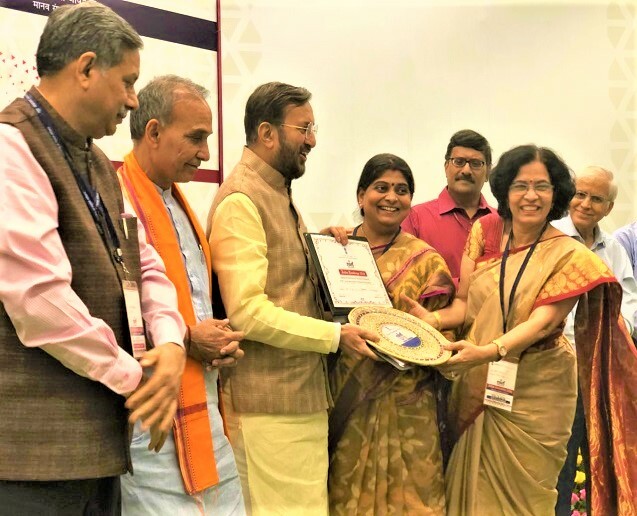 MHRD Union Minister Shri Prakash Javadekar himself awarded a certificate and Plaque at the ceremony held at New Delhi in the presence of eminent dignitaries. 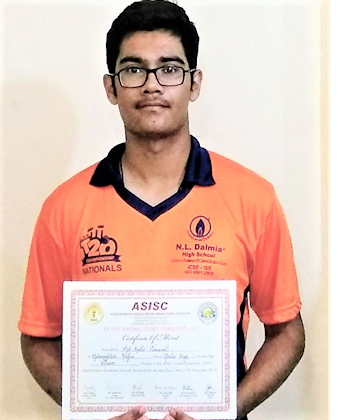 Kabir Nanavati selected in Maharashta Team, wins ASISC football tournament! CNMS student Kabir Nanavati of standard XI was selected in Maharashta Team to play ASISC football tournament. The football team won the All India Football Championship 2017. Due congratulations to him! BNCP Ranks 32 as per NIRF! As per the latest ranking and standings in Pharmacy education sector by MHRD, National Institute Ranking Framework (NIRF), BNCP was ranked 32nd amongst all Pharmacy Colleges as per National Institutional Ranking Framework. Compared to 2017, BNCP has improved by 10 ranks. They were 42nd last year. The students of SVKM’SNMIMS Shobhaben Pratapbhai Patel School of Pharmacy and Technology Management (SPPSPTM), Mumbai participated in Rx Melange 2017-18 which is the annual inter-collegiate festival for pharmacy colleges. This event, organized by IPA-MSB-SF (Indian Pharmaceutical Association- Maharashtra State Branch-Student Forum), was held from 25th Jan to 28th Jan,2018 and saw a host of winners from SVKM’S NMIMS SPPSPTM. Given the persity of events conducted at Rx Melange 2017-18,the students of NMIMS SPPSPTM participated and proved to be victorious in most of them. NMIMS SPPSPTM was declared the Winner of Rx Melange 2017-18 where they won the Best Sports Trophy, the Best Cultural Trophy Shield and are awarded with the Best College Shield. 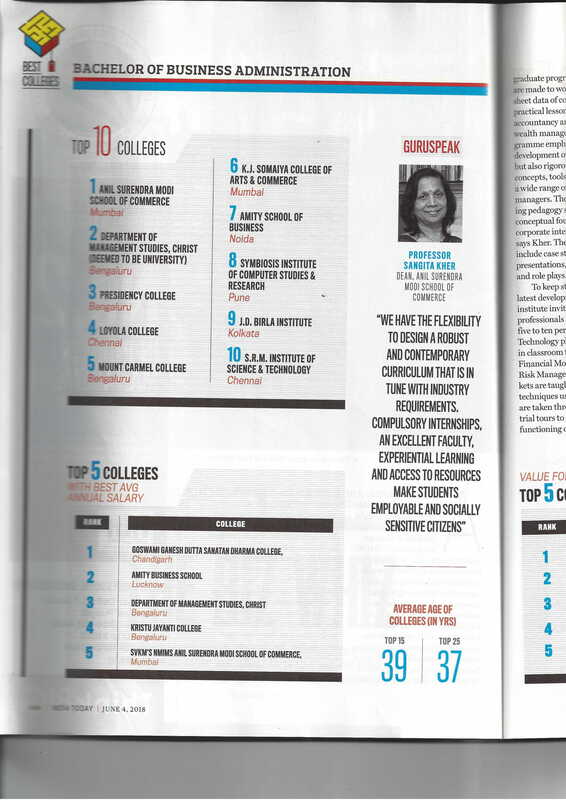 NMIMS ASMSOC topped the list of Best Schools for BBA Program in the India Today Magazine, June Issue. This is no surprise as all the courses at NMIMS Anil Surendra Modi School of Commerce are at par with global requirements. CMO Asia conferred the Asia’s Best Emerging Business School at the Le Meridien Sentosa in Singapore on 1st August, 2018. It is a great honor to receive an award in the first two academic years of the university. 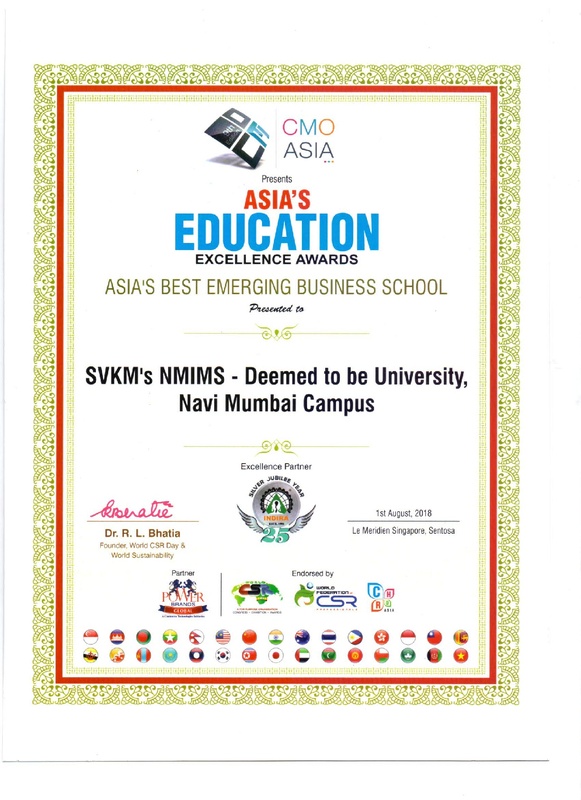 SVKM looks forward to the success of Navi-Mumbai Campus. The Cambridge Board has Checkpoint Exams at Grade 8 Level to assess the standing of the learners before the boards.English, Maths and Science are the Checkpoint Examination Subjects. The Checkpoint Exams are graded on a scale of 1 to 6. Rahul Mistry of JV Parekh, scored a perfect 6 in all his subjects in the Checkpoint Exam. Priyanka Sharma won ‘The Professor S V Ghatalia Gold Award’ for Scoring Maximum Marks in Financial Accounting & Auditing. It is awarded annually to candidates who clear in the first attempt itself and with the highest number of marks in all three papers in Financial Accounting and Auditing as the special subject at the B.Com. Degree examination. 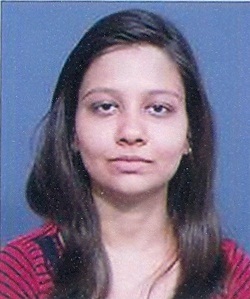 Kumari Pragya, a final year B.Pharm student at BNCP, stood second in Mumbai University. She scored 81.13% and her GPA totalled to 8.56. Both, BNCP and SVKM congratulate her and wish her a bright future. 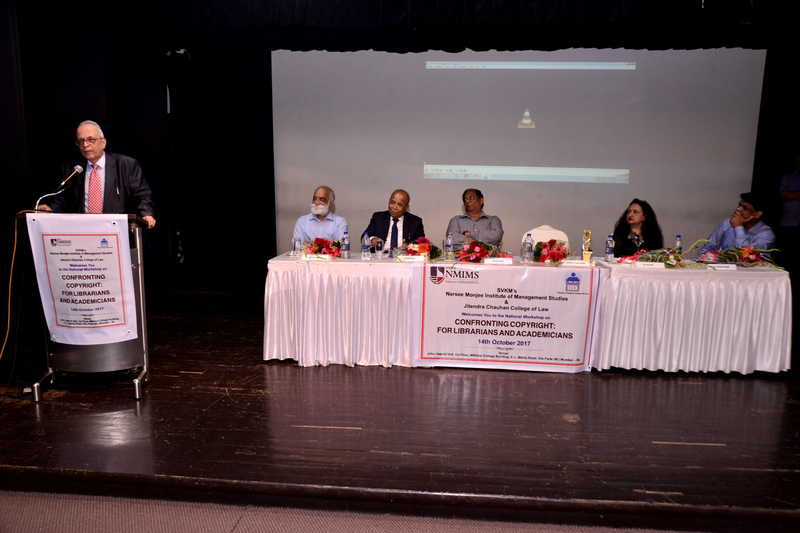 The Education to Entrepreneurship Workshop was jointly organised by NMIMS and Taleem O Tarbiyat. The workshop emphasized on ‘How holistic education can transform and energize communities and in character building of the youth.’ Maharashtra Chief Minister Devendra Fadnavis, said it is important for the country to learn about blockchain technology or else it will be left behind. He further stated that it is highly-secure. While addressing the students at the Taalim O Tarbiyat – NMIMS Workshop, he said, “There are changes that are taking place due to technology. We have reached till blockchain technology. It has helped us create a platform where there is no intermediary.” He added, “It is a highly- secure system. There is no chance for corruption or cheating. And there is no need for regulator also.” While talking about the need to be skilled, he stressed that digital technology has helped to innovate. He added, “We are living in exciting times.” He also added that by 2020 India will be the world’s youngest country and the country has to prepare its young population to grab the new opportunities. “The critical question is whether we are ready to turn this young population into demographic pidends. If the youth are not trained and absorbed in gainful employment, they can be dangerous too,” he warned. JV Parekh had its annual sports day on the 13th of January, 2018. Various sports such as athletics, team sports etc. were organised for the students. Wasim Jaffer, one of the finest cricketers of the Indian national team was a chief guest at this event. The students were more than happy to see Mr Wasim Jaffer in person. 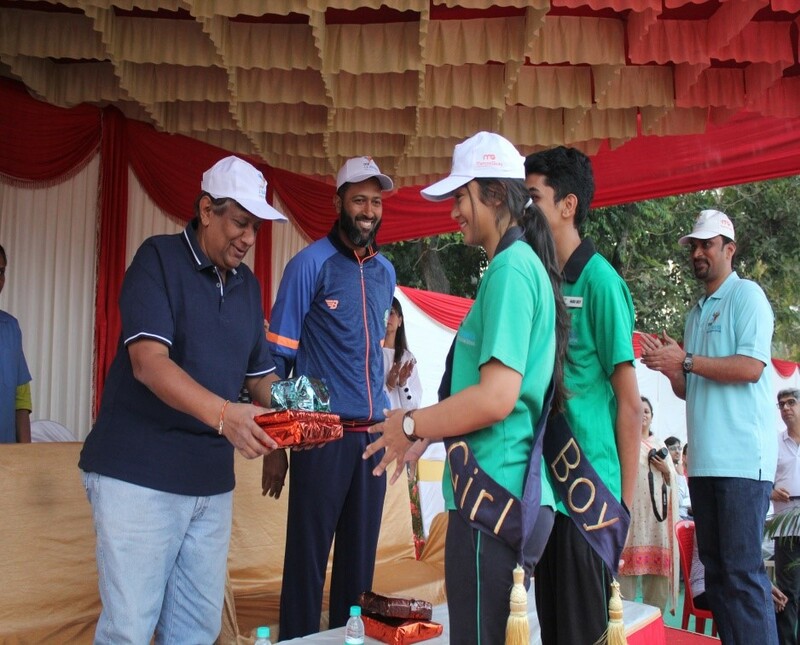 The winners were elated to receive their prizes at his hands. All in all, the sports day at JV Parekh was a field day in every sense of the word. Mr Wasim Jaffer was also more than happy to be a part of the event. Robby Wells, the presidential candidate for 2020 election was at the NMIMS University. A board room meeting along with all the dignitaries of NMIMS was held specifically for him. He delivered a speech listing down his agenda for his election campaign and gave everyone a fair idea of his plans for countries like India and China. He also explained the concept behind his campaign slogan ‘Rise Up.’ As per the ‘Rise Up’ Campaign, people of all classes shall rise to a higher class; e.g. poverty stricken shall rise above poverty line, poor shall rise to middle class and middle and lower middle shall rise to upper middle or rich. 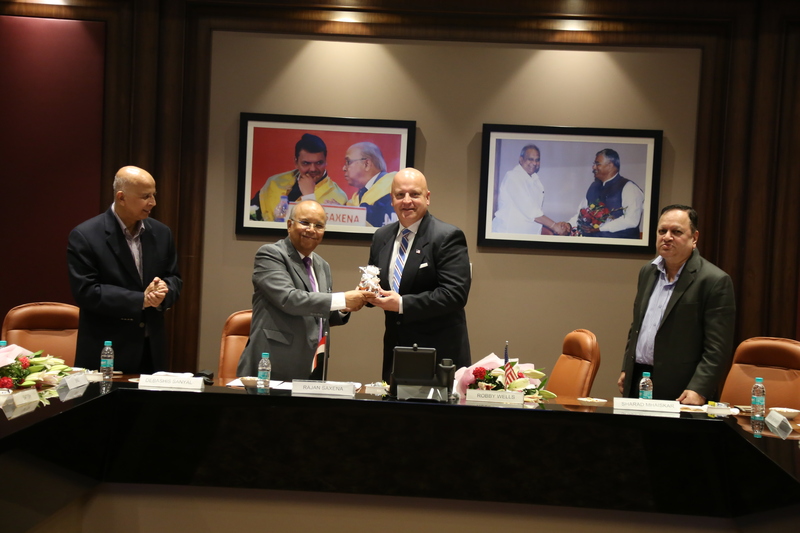 NMIMS also discussed prospects of tying up with US universities in the future. Some problems unique to US such as student loans, single moms etc. were also discussed. Robby Wells also brought up the subject of an energy compliant economy which would raise employment opportunities. The workshop was held in order to spread awareness regarding Copyright, Intellectual Property Rights, Plagiarism, Digital Rights Management and Fair Use. 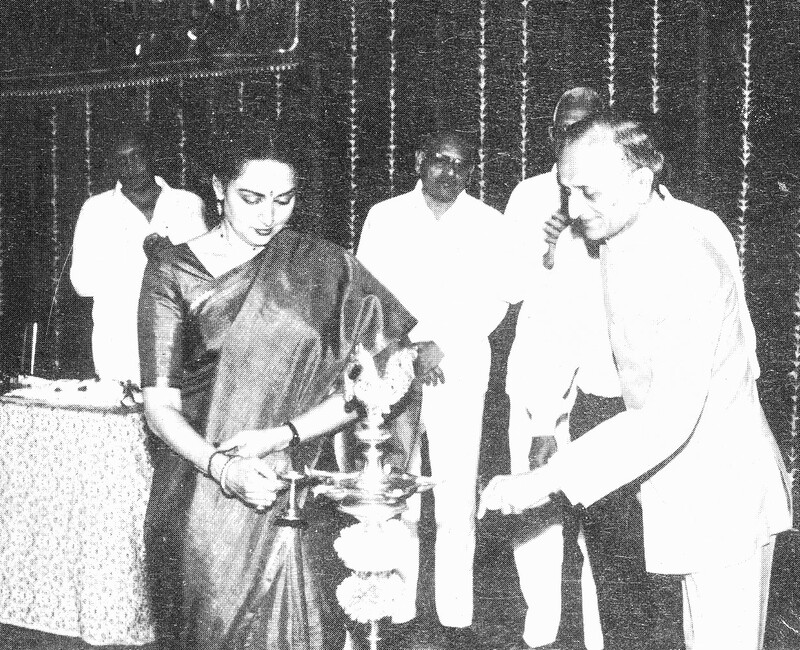 The lighting of the lamp was done by Dr S Radhakrishnan who was the Chief Guest at the event. A Welcome Speech by Dr Shivanand Sadlapur marked the beginning of the event followed by Dr Priya Shah speaking on the importance of copyright in contemporary times. Dr L.R Dwivedi spoke on the importance of referencing whilst Dr Rajan Saxena spoke on the subject of copyright in today’s academic scenario. 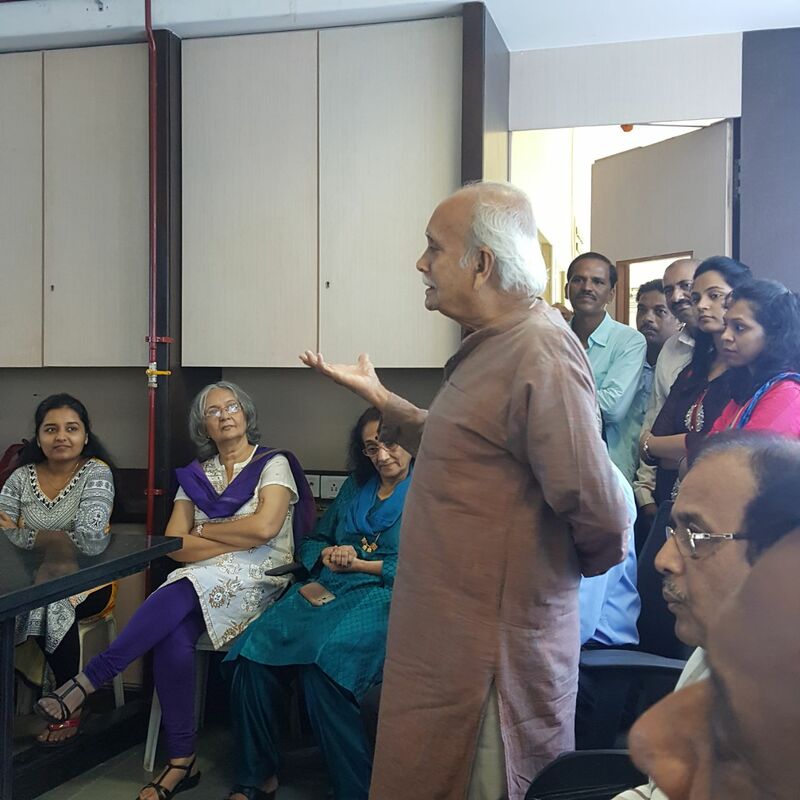 The workshop ended with a vote of thanks by senior librarian Mr Hemant Shetye. 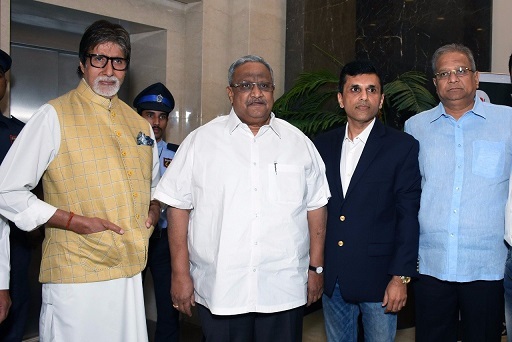 Shri Amitabh Bachchan was a Chief Guest at one of the events being held at the Mukesh Patel Auditorium located in the NMIMS New Building. He obliged us with a visit and took a tour of the entire university along with our Hon. 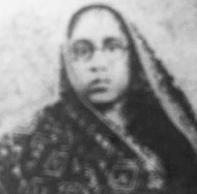 President Shri Amrishbai Patel. He was given a detailed tour of the entire campus including the board room where he indulged in some banter with the dignitaries of SVKM. SVKM is honoured to have had an actor of his calibre on campus. As per the new UGC norms, NMIMS has been declared as Category-I university in the graded autonomy declared by UGC / MHRD. 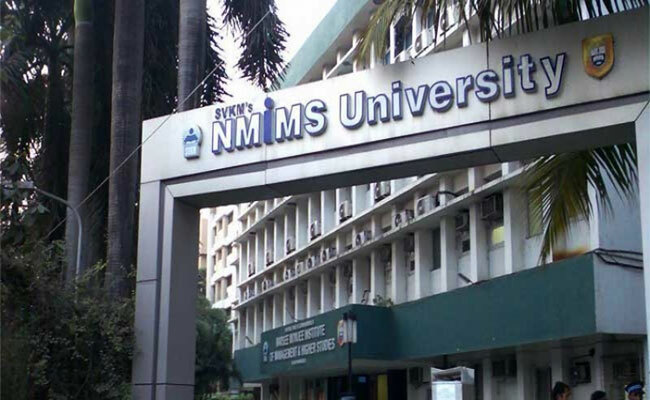 As per the graded autonomy scheme, NMIMS can now start new courses, departments and off-campus centres, research parks, appoint foreign faculty, admit foreign students, pay variable incentive packages to their teachers and enter into academic collaboration with top universities of the world without seeking UGC’s permission. As per the new UGC norms, Mithibai was granted full autonomy. As per the autonomy, Mithibai can now set its own syllabus as well as hold examinations. Evaluation as well as results can be carried out by the institute itself. However, the degree will be awarded by Mumbai University. Plans to restructure course curriculum, add a number of skill-based courses are already in process. 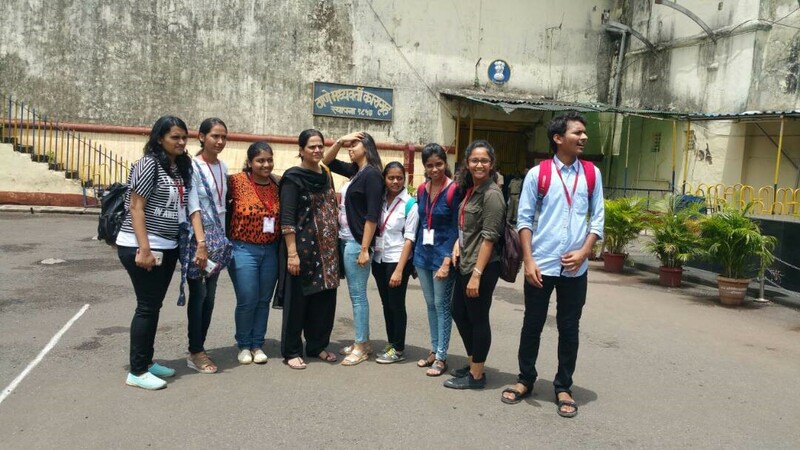 Department of Business law had organised an educational tour at Thane Central Jail in association with State Human Rights Commission Mumbai on 22nd June 2017. Nine students from SY and Ty B.Com under the guidance of Mrs. Deepa Chitnis (Head Business Law) had participated. As per the information given by the inspectors at the jail- the total area of jail is 67 acres covered by lush greenery, various workshops and cells, the total number of prisoners is 3200 which included 91 females, 6 children and 3103 males (both under trials and convicts though the capacity of the jail is 1105 prisoners, the staff comprised of 200 policemen of various designations. The jail premises comprises of a bakery, carpentry factory, power loom factory, laundry section, tailoring section, library, a multi-purpose hall and a study room, where the prisoners can learn new skills, educate themselves, and earn waged based on the work done by them. The residents of jail are provided with highly nutritious and hygienic food cooked by the prisoners themselves and was also tasted by the students. The students visited the conference courtroom which was connected to the Thane High Court where 30-40 trials are conducted daily. 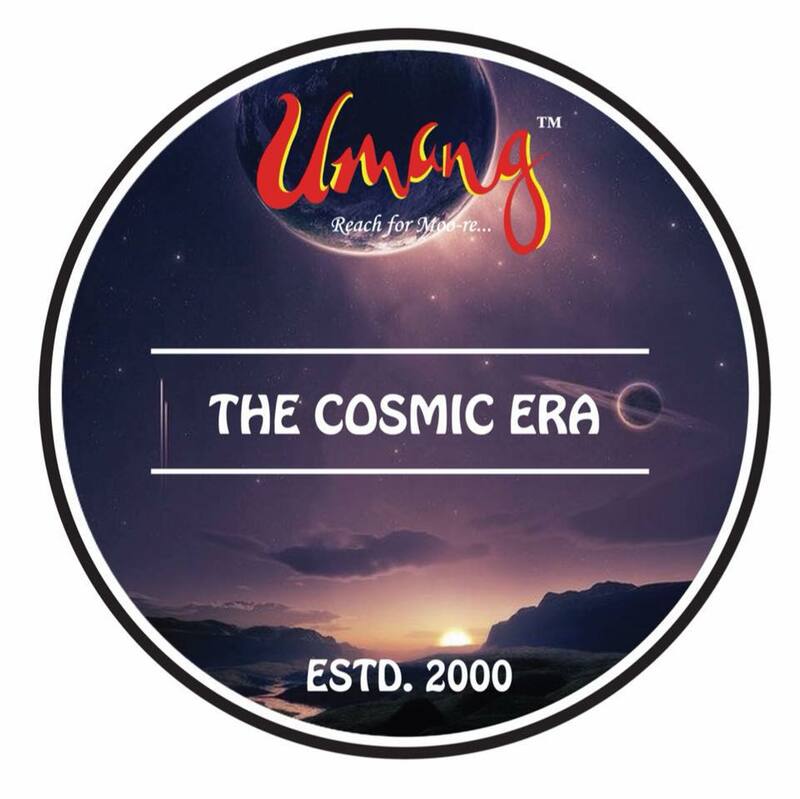 Various workshops, guest lectures, festivals etc. are conducted which act as a catalyst for rehabilitation. The All India Albert Barrow Creative Writing Competition is an initiative by the CISCE (Council for the Indian School Certificate Examination) to give students a platform to express themselves through the written word. The competition is held in all ICSE schools across India on an annual basis. This year CNMS had the honour of hosting it. The competition was held as per the rules and regulations of the competition. Complete privacy was given to the students while they were also supervised strictly. UPGCM Kicks Off its First Lit Fest with a Blast! SVKM’s UPGCM held its very first Lit Fest on 16th and 17th September. The festival was a one of a kind experience for both, the participants as well as the organisers because it wasn’t limited by a theme or a competition. It also wasn’t limited to just college students. It was a free for all, come one, come all, life changing and learning experience. UPGCM’s principal, Dr Anju Kapoor opened the ceremony by lighting the lamp. Events such as kagaz, kalam aur kamil, Libraries Buried Alive, The Green Screen, Once upon a Tale, Of Lyrics and Strings, Think before you act, ‘Stuck in Sur, Trapped in Taal’, Unsilenced voices, Beyond Mainstream, City Poets by Unerase Poetry etc. were organised. 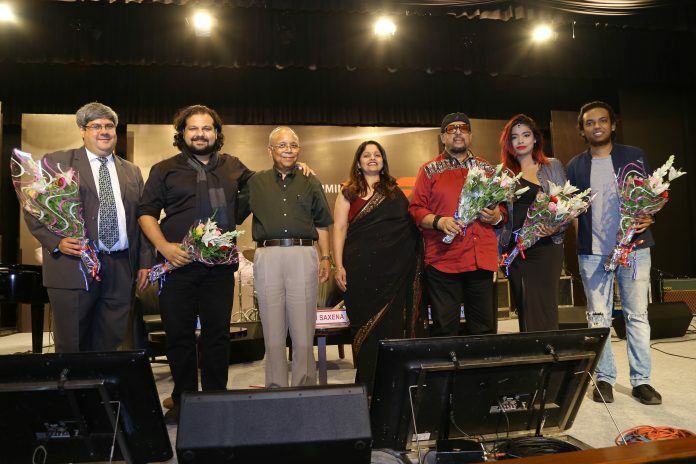 The lit fest saw celebrities such as Durjoy Dutta, Abhishek Upmanyu, Rahul Dholakia, Yahya Bootwalla among others. The festival was covered in newspapers such as Maharashtra Times and The Afternoon: Dispatch and Courier. Around 180 people came together to organise the fest and around 700 people participated as audience members in the 2 day Lit fest. Everyone collectively agreed that the UPGCM Lit Fest was a once in a lifetime experience. Dr Sharad Mhaiskar and the Director General of the Ministry of Economic Affairs, Taiwan at the Signing of the Memorandum. Taiwan Ministry of Economic affairs delegation led by Director General of the department accompanied consisting of 17 prominent companies from Taiwan has signed a MoU with NMIMS University on 8th September 2017 at the Mumbai Campus. As per MoU, NMIMS will support Taiwan government in talent exchange and resourcing to increase trade and investment between the territories through a series of recruitment drives and research and consultancy in the field of management, technology and Science. The delegation exchanged the idea of utilising senior faculties for conducting international trade and investment research in India to educate Taiwanese industries. Mediatek, ASUS computers, Eternal Material and Advantech were a few globally renowned companies that visited the Mumbai Campus through this delegation. NMIMS looks forward to further development and progress after the signing of this very eminent Mou. 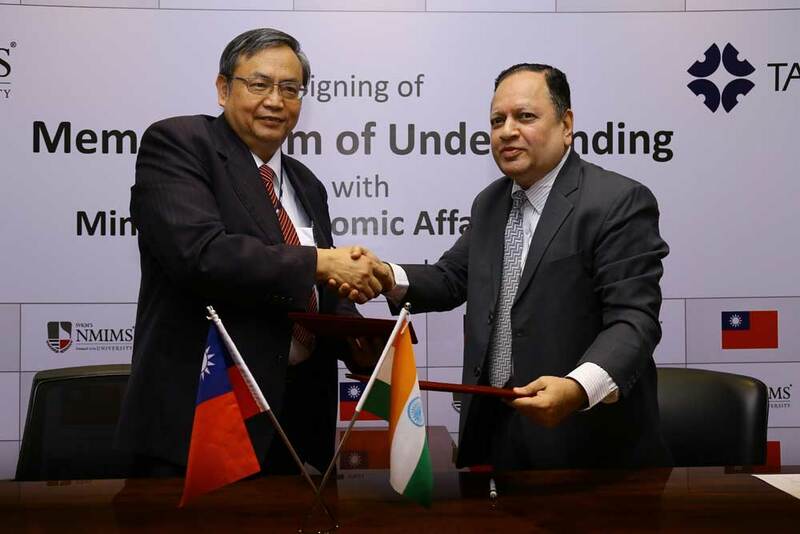 The MoU will enable wider cooperation between Taiwan Ministry of Economics for conducting research and consultancy in the area of International trade, Economic development and balance of trade between India and Taiwan. The 17 companies visited along with trade delegation are keen to recruit NMIMS students for upcoming and existing vacancies in South Asia region and Taiwan. The delegation offered to our students a Taiwanese language training and technical internship with leading microprocessor, automobile and textile companies. NMIMS is keen to prepare students for these opportunities. A Skill Enhancement Centre for Science Students (SENSS) was inaugurated on 14th July 2017. Various skill based courses would be started for students. Medical Laboratory Technology and Management course was started from this year. Prin. C. P. Kelkar Former Director, also guided students regarding the need to acquire various skills to get better jobs. Dr. D. V. Kamat has taken over as the Director of Shri C. B. Patel Research Centre. 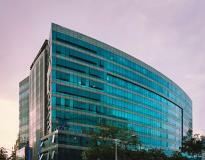 The center has been recognized by DSRI, Govt. of India to undertake research projects. One research project is underway in collaboration with BARC, Mumbai. 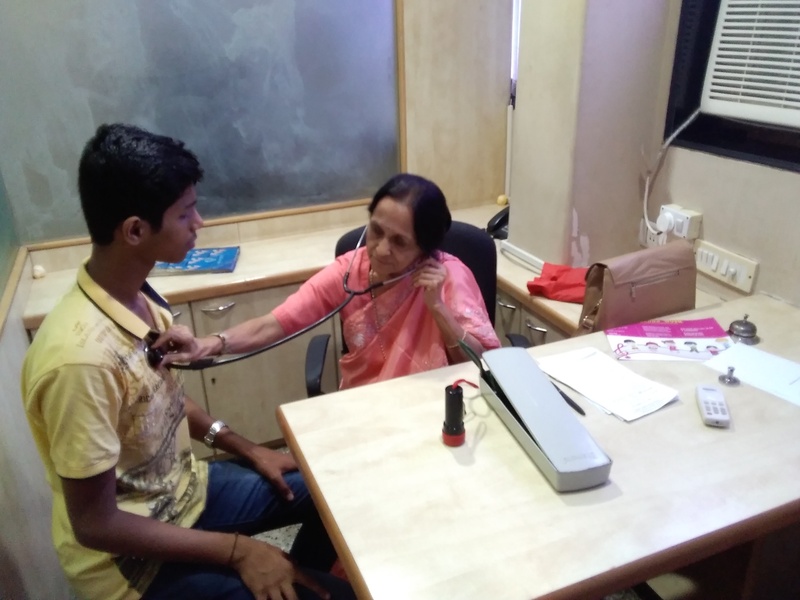 CB Patel Skill Centre actively participates in Thalassemia detection and counselling amongst the citizens. 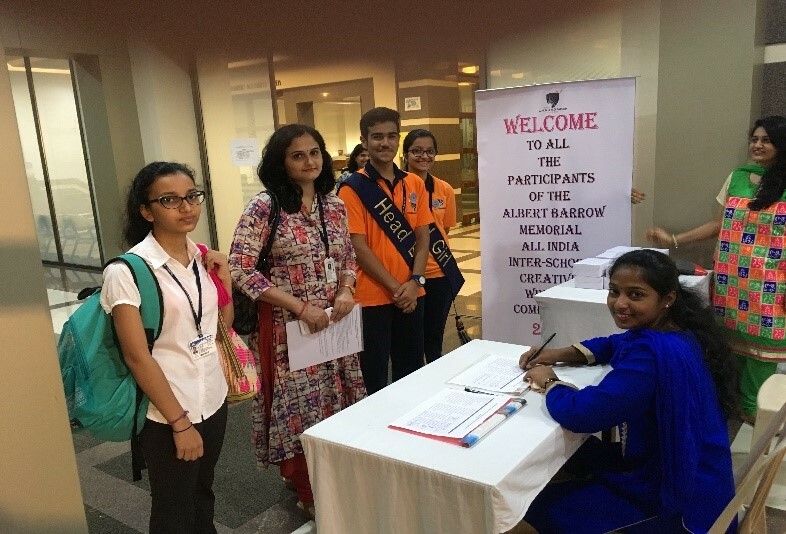 Recently 525 students were screened at Dalmia College Mumbai. It has taken lead in analyzing water samples for Potability. Water samples of our institutes are regularly analyzed for its quality. CB Patel Skill centre has been recognized by the Drug Controller General, India (DCGI). We have established an Independent Ethics Committee (IEC) and provide approvals to Clinical trials and BA/BE studies. 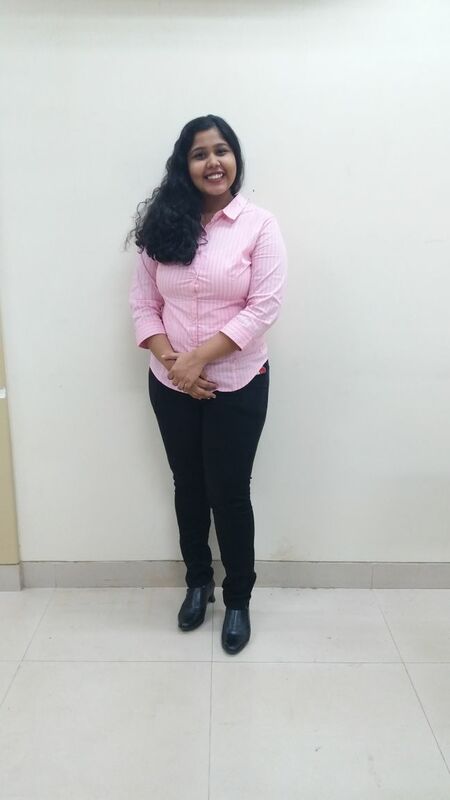 Not only did Mithibai win the 15th Inter-state Youth Festival ‘Indradhanushya’ but Eman Choudhary of Mithibai also bagged the ‘Golden Girl’ Award while representing University of Mumbai. They were judged through 6 strenuous events and won Gold in Western Group Songs, Indian Group songs, Light Vocal Solo, Western Vocal Solo, Silver in One Act Play, and Bronze in Folk Orchestra. Hearty Congratulations to Mithibai College and Eman Choudhary for the win! 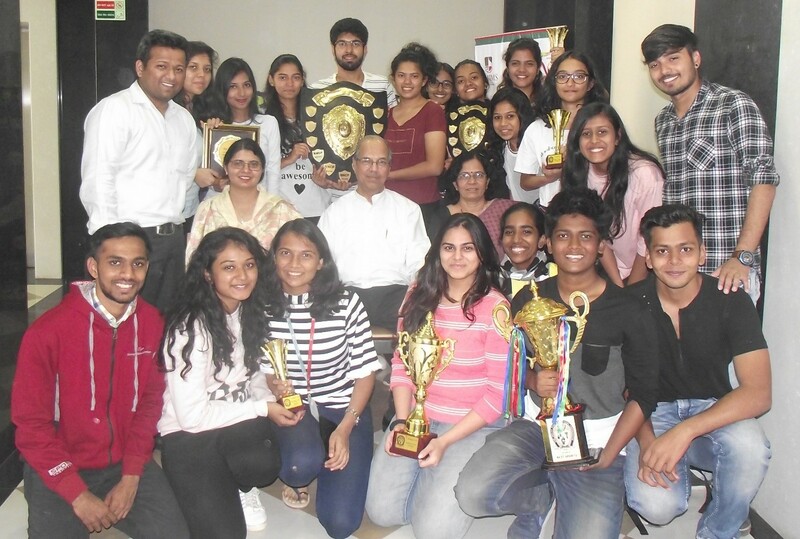 A very hearty congratulations to Mithibai College for its consecutive wins at Mumbai University. 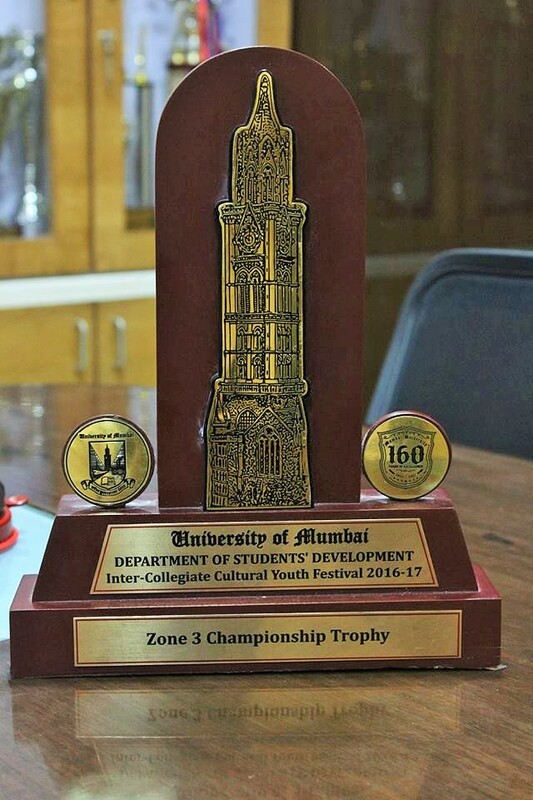 Mumbai University organises the Inter-Collegiate Zonal Youth Festival every year for the development of students. This competition has been consecutively won by Mithibai since the last 5 years. In addition to that, Mithibai Student Malavika Raghunath was crowned Miss University. SVKM and Mithibai couldn’t be more proud of the wonderful achievements at the Zonal Level. SVKM congratulates Mithibai on yet another wonderful win. CNMS Boys Football Team, Runner-up in inter-school District! The District Sports Office – Mumbai, organises sports to promote sports and team spirit. Among many other sports, they also organise football. 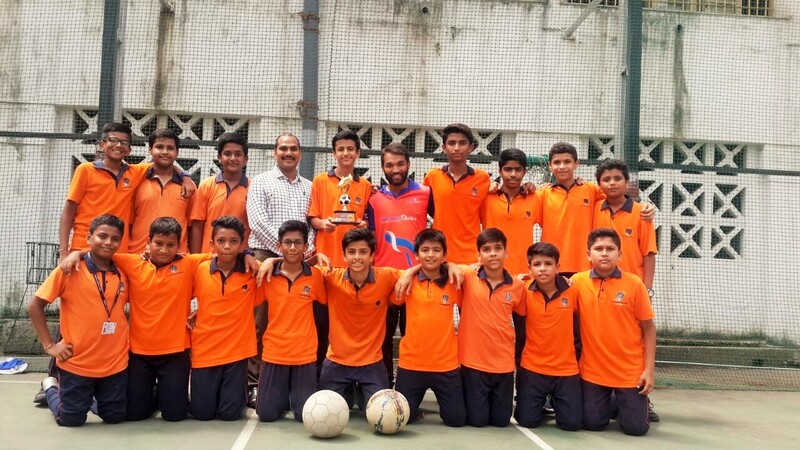 The CNMS boys’ football team not only participated in the district level inter-school tournament but also won the second place! SVKM and CNMS are very proud of the boys! A very hearty congratulations to them. At SVKM, You shall be Healthy, Wealthy and Wise! SVKM cares about the mental and physical health of its students and hence, adequate facilities have been provided for the same. A doctor is available on campus from 9 am to 6.30 pm on the 2nd floor in the NM College Building. Counsellors are also available for any kind of help from 8 am onwards until late evening. Both the counsellors are located in the BNCP building, 3rd floor whilst the NMIMS counsellors can be found on the 9th floor. Antibiotics for viral diseases such as cold, cough, fever etc. The first aid box consists of cotton, hydrogen peroxide, cotton, bandage, ointment. PainKillers such as Crocin, Meftal, Meftalspas, Cyclopam etc. are available at the clinic. In case of any kind of emergencies such as stitches or operation, the doctors will get in touch with the nearby hospital so that the patient can be attended to immediately. In case of any delay, the doctor will issue a letter of recommendation and if necessary, the doctors accompany the patient to the hospital. 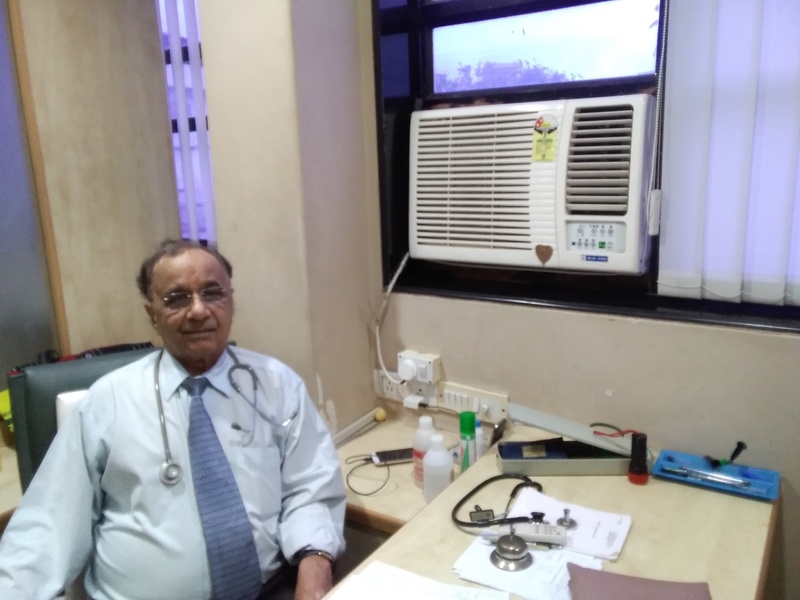 The patient is usually taken to the nearby hospitals such as Cooper, Nanavati. The doctors check around 5-25 patients daily. The doctors have had to deal with everything from bleeding to casual diseases to epilepsies. Records of the patients are also maintained in order to follow up with them in future if required. 3. Heartbeat rate and sound. Other than the doctors on the second floor of NM College Building, a full-time nurse is available at CNMS and JV Parekh. These nurses help out whenever the toddlers are in need or if a student is in need of first aid administration. Regular health check-up campaigns are also organised by SVKM for senior management and officials. The health check-up camps are organized at Kokilaben Dhirubhai Ambani Hospital. Group Medical Mediclaim Policy covers employees, their spouses, and 2 children. It is known as family floater policy and the sum insured is Rs. 1 lakh. The claim processing is done in-house. If one has opted for cashless mediclaim facility, then they shall be reimbursed after having provided the requisite hospital documents. At the time of treatment, the policy holder is required to pay a security amount. As per the personal Accident policy, only employees are insured, this doesn’t extend to any family members. Insurance facility of up to Rs. 10,000,00 is provided to the policy holders. Appropriate compensation is made in case of treatment and recovery. If, unfortunately, the patient doesn’t survive the accident, a sum of Rs 10, 000, 00 is paid to the next of kin. 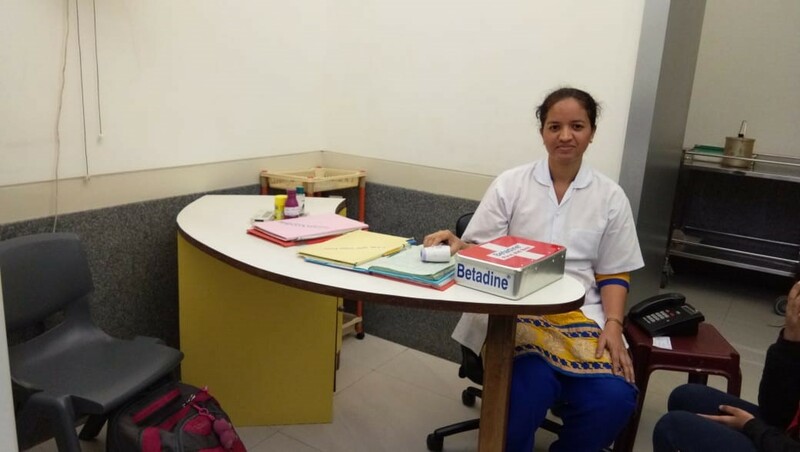 Counselling facilities are provided by Ms Hoori Deshpande, Ms Karuna Jaggi for SVKM institutes and by Dr Meeta Shah and Dr Joel Gibbs for NMIMS. Here’s a detailed look at the kind of counselling facilities that are made available to the students. These facilities are available to not just students but also to the authorities, staff, faculty, Ph.D. pursuers, parents and everyone who is a part of the SVKM family. SVKM’s counsellors conduct teacher meetings at all colleges and institutes on a regular basis in order to spread awareness. An orientation programme for all the classes is conducted every year. All small to big problems for instance anger management, time management, family issues, losing essence of one’s being, decision making, inability to stay focused or concentrate etc. are dealt with. The code of confidentiality is followed strictly and is only broken if, unfortunately, the student is suicidal. Various types of activities like debates, personality quizzes, group tests etc. are conducted to generate interest amongst students. This will help to increase awareness and help them to solve life-related issues with fun activities and without any pressure or stress. It will also help counsellors understand the psychology of the students. The counsellors do everything in their power to understand the mind-set of the student. They also keep abreast with the latest trends amongst the youngsters. They accordingly conduct orientation programs to spread awareness and to let the students know that they are available. The contact information of the counsellors has also been updated on all the college websites. Just like the doctors, the counsellors also make a record of everything so that it is easy to follow-up. More often than not, the focus is on one-to-one counselling over group counselling because problems are specific to individuals. If the person seeking counselling isn’t comfortable with a face to face conversation, then, the counsellors are also available via whatsapp, call, SMS and email. Family issues such as Divorce, Communication gap. Domestic violence, suicide cases, OCD, Drug addiction. Molestation, domestic violence by parents. Students caught copying are often unable to cope with it and special counselling sessions are taken for such students. It is not easy for the students to deal with the repercussions of such situation; after all, they are but teenagers. Unfair means committee for students who are caught copying during exams. Family Counselling sessions are conducted by professional psychologists or psychiatrists whenever necessary. For, very often, it becomes necessary to involve the parents and/or teachers in order for the counsellor to be able to help the student. Students who are disturbed due to career issues or pressure of studies are helped and guided to overcome the problems by providing a strong external support system. The students can come anytime during the term to solve problems. Lastly, the counsellors have started a buddy system, through which a select group of students keeps an eye on potential victims of depression or loneliness. This group also makes friends with those students who are isolated by the rest of the society. If things seem urgent, they connect with the counsellor. The students of the buddy group and the counsellors meet once a month. Thus, efforts are made via all ends to ensure that the students have a safe and secure environment both, emotionally as well as physically. The purpose of studying his haveli in the ‘off-beat’ section is the fact that the Haveli carries a legacy of history through its architecture, its mood resonates of the quintessential antiquity that has been embedded within its bricks and walls. Standing strong since 1835, it gives us a glimpse into the culture, practices, tradition and bonding of not just the lineage of the Divatia’s but also of a part of India, of the Gujarati and the Maratha communities and of the lanes of Ahmedabad in times long past. So, let’s delve deep into the chronicles of history through the Haveli! 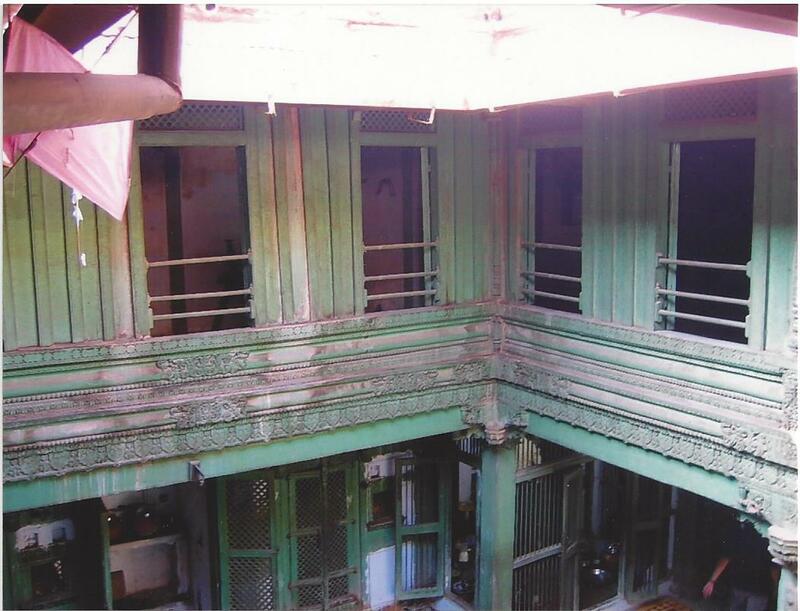 The haveli was built by the great-great grandfather of Shri Sunandan Divatiaji, Shri Chhotabhai Bappabhai in 1835. At the time the Haveli was constructed, members of the same caste lived in a singular lane. Lakha Patel ni Pol, the place where the haveli is located was no different. Thereby, the home is a strong reflection of the bygones of the Gujarati sub-sect and the Marathas that resided here. 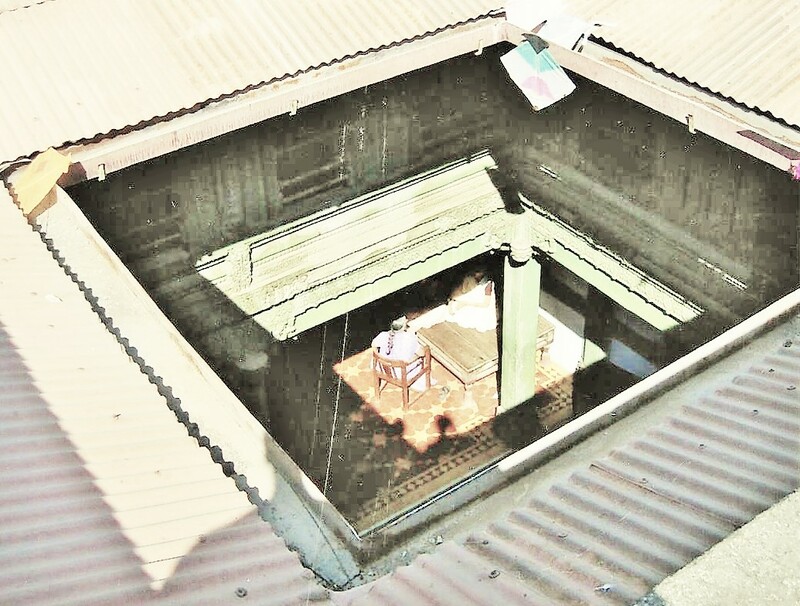 It has been through numerous situations of political unrest and hence, an escape door has been constructed towards the other end of the bungalow. The place is well-equipped with a tank that harvests rain-water, two wells in its backyard. Back in its day, it was the tallest structure in all of Ahmedabad complete with a Raavthi (terrace) which served as a vantage ob-servation point and was later used to enjoy flying kites. The Raavthi was lost in the 2001 earth-quake that hit Gujarat. As of today, the house is used for marriages, family gatherings and festivals. It has housed 5 generations of Divatias and is still a fairly equipped house. The entire haveli is connected to the Chowk. The chowk used to be a place of family gathering and prattle back in its glory days. It is still a very strong base that holds fort for the whole 2 floors of the haveli. In fact, the entire house gets water supply from the water tank stored beneath the chowk. This tank is used for water harvesting. This over a century old Haveli has been a fascination for historians, journalists and architects alike. It has therefore been covered by numerous Gujarati newspapers such as Madhyama, gujarati samachar plus etc. These newspapers give a detailed account of how Chhotabhai Bappabhai back in 1835 was involved in the construction and division of the haveli. He was very fond of beautiful and elaborate buildings. They also give a detailed account of the intricate artwork done by potters, painters and artists across the walls, floorings and pillars. The Newspaper article tells us about the intricate artwork on the walls of the Haveli. Kotharni and Nishkam are traditional skills that have been used on the walls and pillars both inside as well as outside the haveli. In fact, the creator of the haveli, Sri Chhotabhai Bappabhai was responsible for the removal of the Marathas who at that point in time unfairly ruled Ahemdabad. He joined hands with the British in order to get rid of the Marathas. The entire heritage indeed makes for an interesting history! The above information and pictures have been kindly lent to us by Shri Sunandan Divatia. We are deeply thankful to him for furnishing us with such fine details. “Harkisanbhai upar lakhe chhe....” the watchman would say explaining the lights at midnight at Chitralekha’s office. 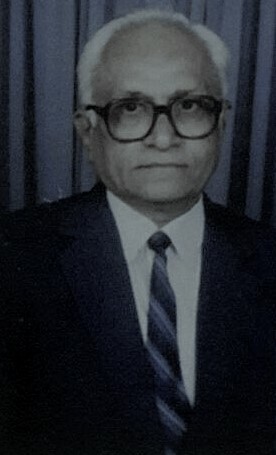 Harkisan Mehta, the founding father of SVKM’s Harkisan Mehta Institute of Media Research and Analysis (HMMRA) were the editor at Chitralekha from 1958 to 1998 i.e. to say, most of his lifetime. 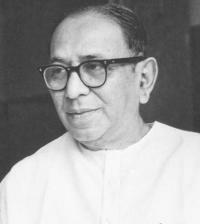 Chitralekha was the rank three magazine in India during his tenure. His writing style was very simple and he had the reputation of being able to continue the story without ever referring back to his previous chapters. 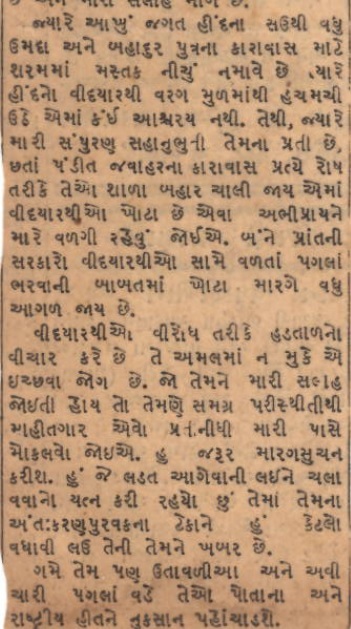 It was quite a marvel given the fact that Chitralekha was a weekly magazine. While he wasn’t a very short-tempered person, he was quite moody. He wasn’t easy to deal with and as editors often are, was of a demanding nature. So much so that until today, HMMRA runs on the principles guided by him. Even at a time like his, much before the digital revolution, he saw through the future of mass communication. Hence, the need to donate to SVKM for a journalism institute. His dream was to present mass communication and journalism in such way that it was literally a way to communicate with the masses rather than bookish learning. He often said that one cannot become a journalist by simply reading a book. Journalism is a lifestyle. He dreamt of changing the way of learning journalism. Back in the day, there weren’t many institutes presenting journalism courses and thanks to Sri Harkisan Mehta, HMMRA was one of the first institutes to offer a course in mass media. He wanted mass communication to scale new heights in India. He also wanted the intelligentsia from the Gujarati community to rise. Hence, until today, HMMRA offers a heavily subsidised course in Gujarati mass media in his honour. His favourite student Smt. 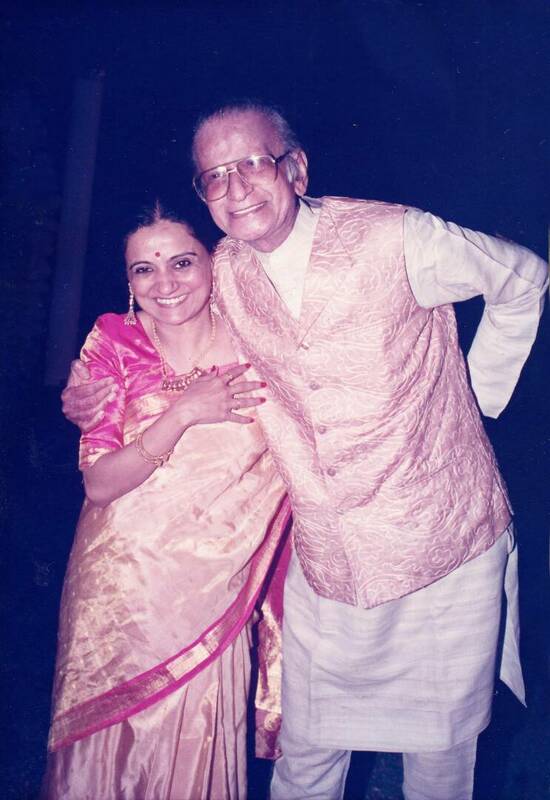 Bhawana Somaaya, has written a heart-rending account of him in ‘Chicken Soup for the Indian Golden Soul’, an international magazine. Directly quoting from her article, she says – “Today, as I attempt to piece the legendary writer on paper, memories gush on me like a waterfall. His scathing words... his childlike laughter... his faith in friendship... his quest for quality... his sense of propriety and his uncompromising ideals... I remember his pride for language and the country. The ink blue wall behind his chair and the always open window because he was allergic to air conditioners. I recall the click of his car door in the parking. It was a signal for everyone to get alert. 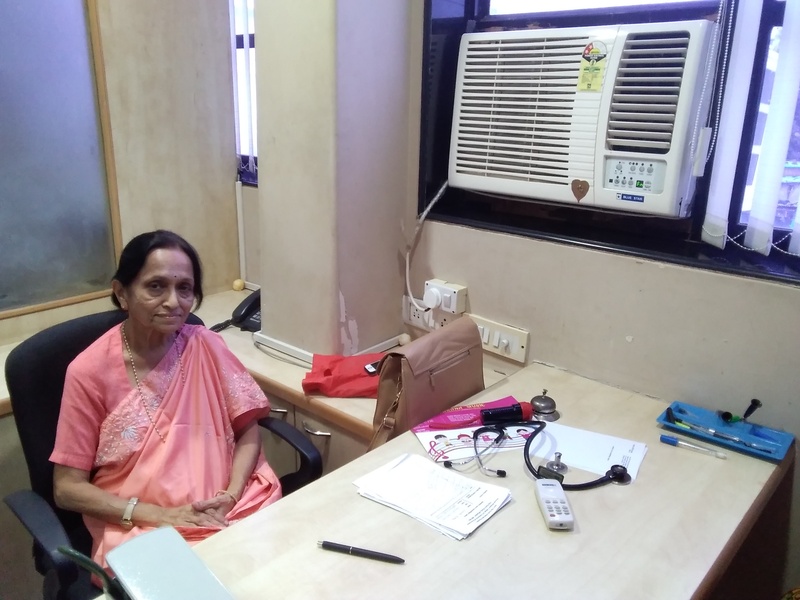 The peon buttoned his shirt, the receptionist put on her sandals beneath her desk and, as editors we lowered our voices” Smt Bhawana Somaaya expresses the marvel of Sri Harkisan Mehta as far as possible in these many words. He succumbed to low BP and malaria on 3rd April, 1998. The family had planned a trip to Haridwar with him long before his death; tickets were already booked and in the end, they ended up carrying his ashes to the Ganges! His family informed us that though he was very broad-minded with his children and completely trusted them, he was also a very simple and down to earth man. While he did not put too many restrictions on his children, he ensured that the family spent time together on a daily basis. He also gave away all his earnings to his mother dutifully. Here, it would be interesting to note that his novels would usually have titles in antonyms; for instance, his last novel was titled Anth: Aarambh. He is a respected laureate in the Gujarati literature community even today. 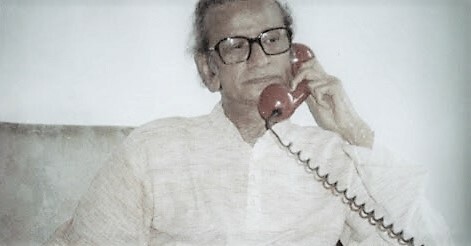 A large number of his works are adapted into television shows and dramas and are enjoyed as immensely by the younger generation as they were by its predecessors. 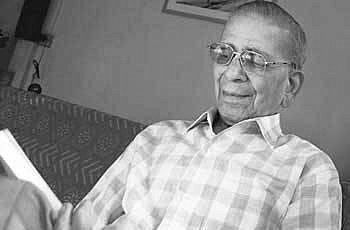 A legendary writer with 23 novels under his belt, SVKM is proud to be associated with Sri Harkisan Mehta and even prouder of being able to run the institution on his ideals all these years. At SVKM, It will always be Safety First! • Security guards outside as well as inside libraries, gymkhana etc. Similar security measures have also been implemented outside of Mumbai campuses as well. Work is on in full swing to implement a full-fledged security system on the new campuses at Dhule, Indore and Navi Mumbai. A bio-metric system and an entry register is well in place for all the employees.Installation of CCTV cameras at the Indore campus is on and should be complete soon. Moreover, continuous checks are carried out to identify risks as well as opportunities for improvement. 1932 – The school was under pressure from the British Government. 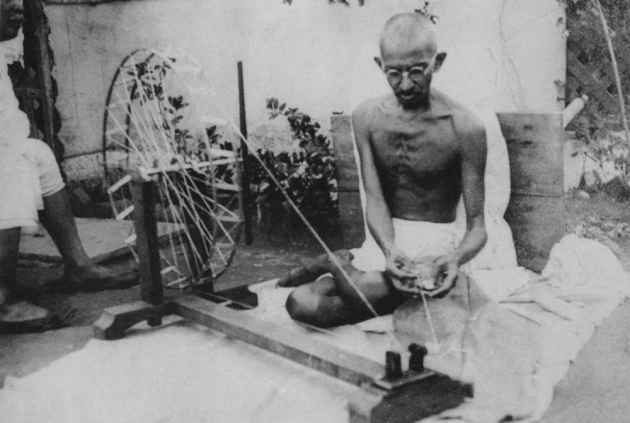 In the wake of the Charkha Movement, they were asked to shut down. 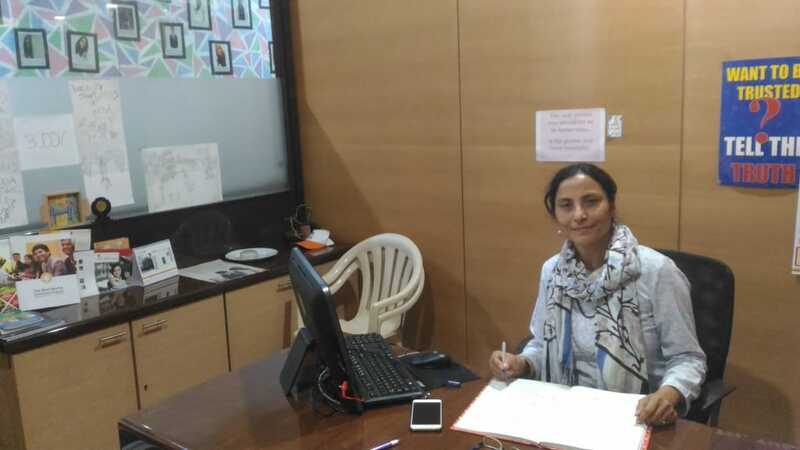 Mr. Khan, the local police chief who had a liking for the educational institution and didn’t want the school to close, suggested that he formally arrest two members who will accept the responsibility of conducting illegal or objectionable activities while the shala kept running. 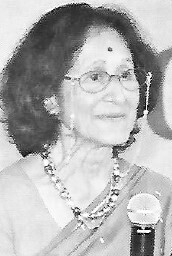 1936 – Srimati Goklibai donated INR 50,000 to Rashtriya Shala. Thus, the school was renamed Gokalibai Punamchand Pitamber High School as a mark of respect for the donation. Honorary Secratory Shri Sunandan patia was kind to let us know that Sri Bhaidas Bhuta had a significant hand behind convincing Goklibai to make a donation. 1937 – The proposal of shifting the location of Goklibai High School to Dadabhai Road from Rashtriyashala Road was met with resistance since it was inconvenient for the students to travel to Dadabhai Road which wasn’t very developed back then. Shri Jinabhai Desai was also given a teary eyed farewell by one and all. 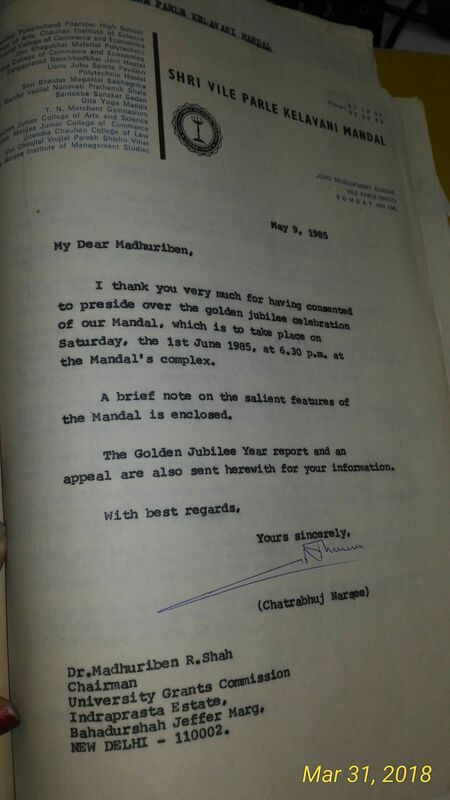 1939 – After the Mandal members offered to resign and said that they’d be happy to let others run the mandal, the residents saw that the intent behind the shifting was good and hence, relented to it. Thus, Goklibai stands where it does today! Honorary Secratory Sri Sunandan patia also told us that important trustees such as Shri CT Sanghvi and Shri Chatrabhuj Narsee have been the alumni of Goklibai. 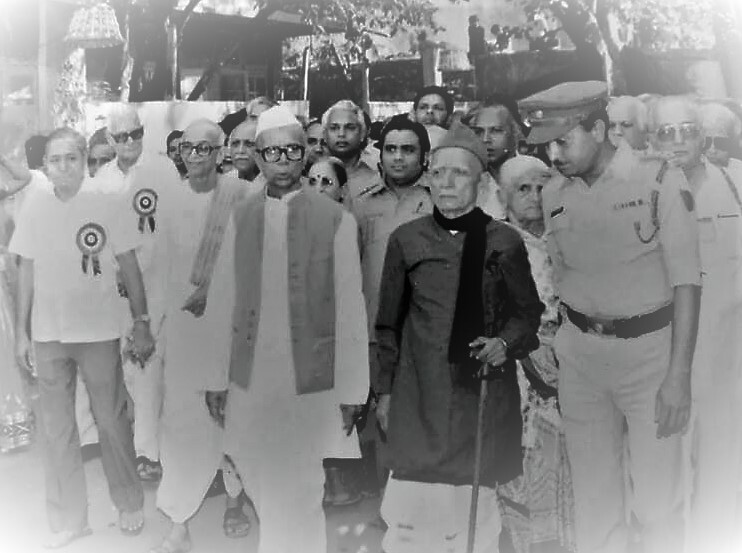 While the foundation stone of Rashtriya Shala was laid by Kasturba Gandhi, the opening ceremony of Goklibai Punamchand Pitamber High School was led by the first Chief Minister of Bombay, Shri Balasaheb Kher. It will delight you to know that renowned Gujarati poet Shri Umashankar Joshi was a teacher at Goklibai during this time. 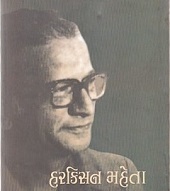 Shri Umashankar Joshi is one of the foremost Gujarati writers and poets. India as a country was going through a crisis at this time. 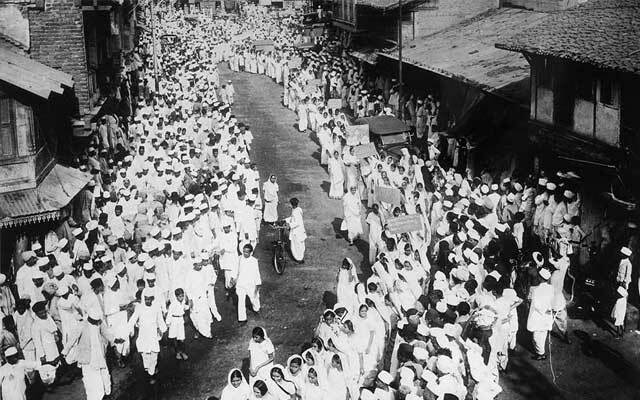 While the Indian Army fought for the British in World War II, the residents partook in the Quit India Movement. Gokalibai High School responded by granting a war allowance to its helpers such as watchmen, bhangi, peons etc. so that they could survive the burden of such difficult times. It was also during this time that Jawaharlal Nehru was arrested and students across the country responded by calling a protest march. Mahatma Gandhi advised them against the strike and asked them to concentrate on academics. The students of Gokalibai were very much a part of this strike. 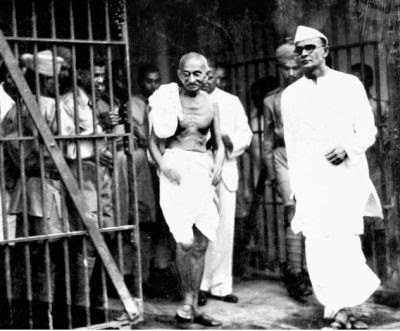 However, riots broke out in the country after Gandhiji was arrested. By this time, the entire country had completely shut down. Thus, the schools were no longer functioning. Gokalibai also issued a notice stating that the school will remain shut owing to the tense situation. Sadly, some property of the school was affected in the stone pelting, shooting etc. that took place during the riots. 1951 – The Bombay Public Trust Act (1950) came into force during this year. As a result of which societies that had been registered under the Society’s Registration Act 1860 were also required to register under the Bombay Public Trust Act as charitable trusts. SVKM also registered under this act in-keeping with the law. 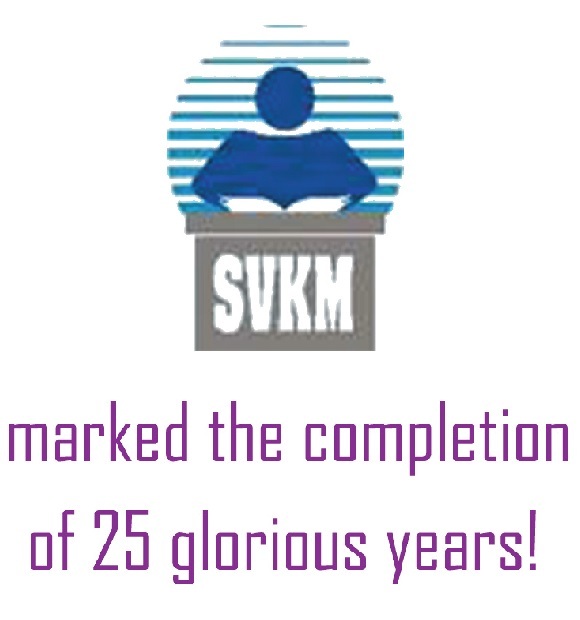 1959 - SVKM Completed 25 Glorious Years! 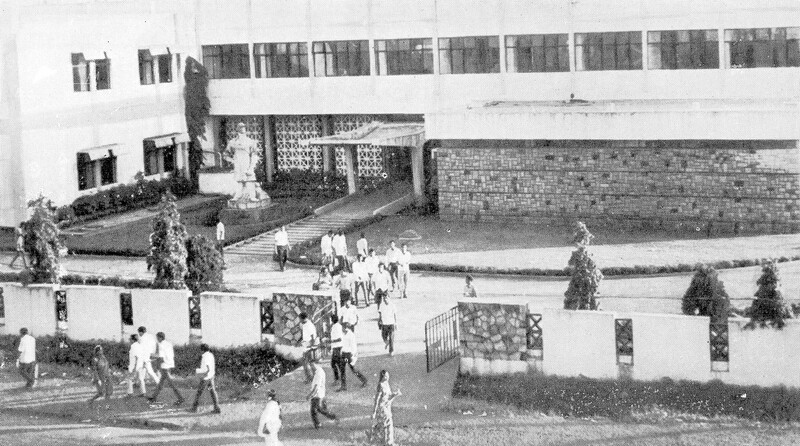 1961 - Mithibai College was established in this year. 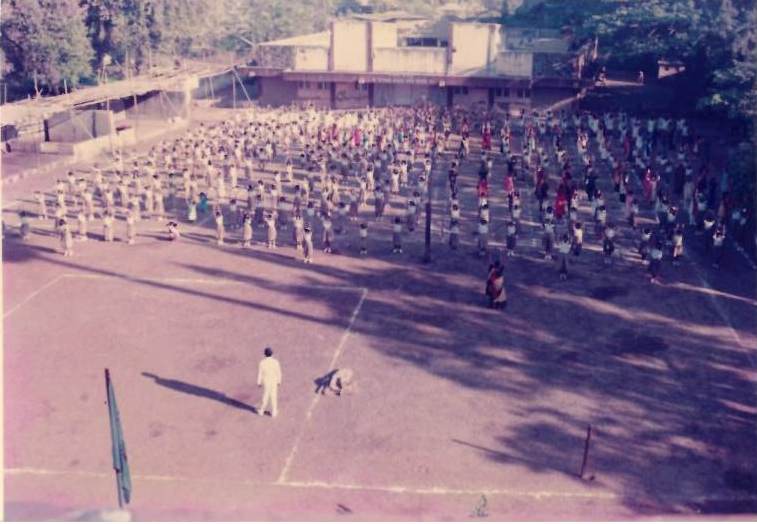 An ashram by the name of Matushri Mithibai Balashram was owned by the quintessential and popular Kapoor family of Bollywood. They later sold off the plot of land and the money that was gained from the sale was donated to SVKM. It was on this plot that Mithibai College was constructed under the Balashram’s namesake. 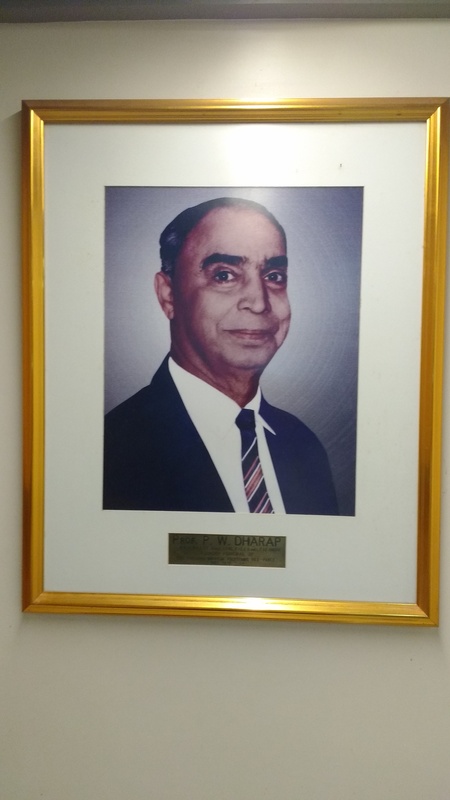 Acharya Yagnik was the first principal of Mithibai College. 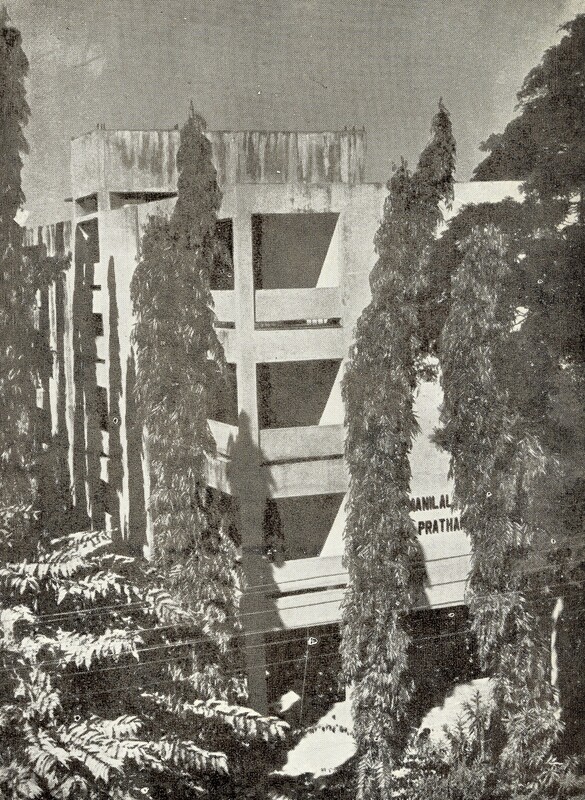 1969 – Selection of Mafatlal Polytechnic as Experimental Polytechnic which was the only one of its kind back then. SBMP was granted partial autonomy by the state government at this point. 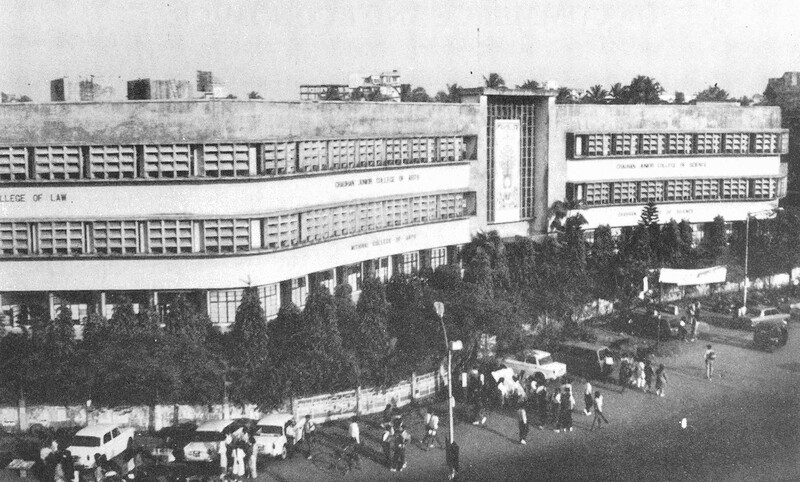 1980 – Foundation stone laying ceremony of Amrutben Jivanlal College of Commerce and Economics opposite Mithibai College. A separate wing for commerce. Mithibai completes 20 years. Acharya Ambalal V Patel College was established.